Every living person has the major purpose of being successful in whatever they do. These simply mean that success is part of the human nature and everybody strives through all the possible means to achieve it (Badegruber, 2005). The achievement of success is however not an easy task to come by following the many challenges which people are exposed to in life. Notably, the lives which people live never present the ideal situations which a person may need for success. These calls for each and every person who is success oriented to be able to have and employ life skills which are very pertinent in the navigation between the many obstacles which the life is faced with. In reality, it is important to note that for success to be ensued, and then personal initiative is a very important factor to consider (Volkman, 2005). The personal attributes which influences the level of success comes in two major ways. To some people, they are the greatest stumbling block to their success and to some; they are the agents’ f motivations to their own success. This leads to the situation where the phrase “I have never known a greater miracle or a monster, than myself” do apply. In many a cases, each and every person has the capacity to chart out the way forward which they are to follow to achieve the required success which the person requires. The way in which people handle the challenges which are presented before them are very important in the management and the overcoming of the challenges. This makes people to be divided into two major groups, the pessimists and the optimist groups. It is important to note that when presented with the same obstacle in the same situation, the optimist would not be able to give up and will be in the constant look out to find the best ways possible to solve the problem (Bond, 1998). The optimist will always try to mentally conceptualize the possible ways in which the obstacle can be overcome through the constant trial of various methods and approaches. On the other hand, the pessimists would react differently when presented with the same situation (Bond, 1998). The pessimists are the Nay Sayers who see the end of everything right from their beginnings. They then go on pilling numerous excuses for why the situation could be solved. They then take very less effort to solve the problems which confront them in their lives. 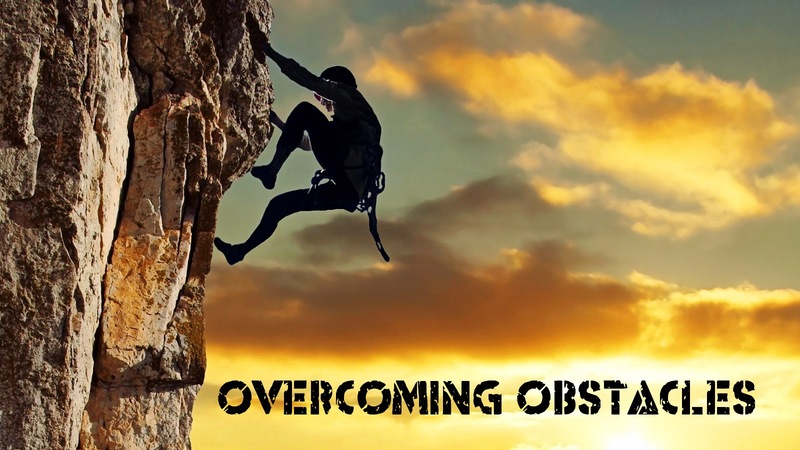 Notably, the moment one quits the trial for the search of the possible ways to solve the problem gives the pessimist a null option of overcoming the obstacle. These two approaches to a similar challenge reveals that the kinds of effort which a person invests in their bid to solve problems are very important in the overcoming of the life obstacles presented (Bond, 1998). The fact presented here is that for the success of an individual, the initiative of the individual is very important. For the person who would like to advance in life by overcoming the ever menacing life challenges, then the personal efforts are very important (Great Britain: Parliament: House of Commons: Committee of Public Accounts, 2009). The personal initiative involves first of all recognizing the strengths and the weaknesses of the person concerned. For the success to be initiated, then the person concerned must be able to cross their boundaries which limit the person to achieve the success required. The person must therefore be in a position to overcome their arrogance, ignorance and the pride which they may posses. Then they take the necessary actions of growth to achieve the laid down growth goals (Badegruber, 2005). In the process of overcoming the life obstacles, it is important to note that “force does not create any right”. In the event that a life challenge or obstacle presents itself to the people, then it would be important to note that using force can never solve the menacing problems. Problems should be solved by the careful analysis of the situations surrounding the problems. A careful analysis is consequently made in terms of the generation of all the possible solutions to the problems (Bond, 1998). Logicality and critically, the best option is then taken and implemented in the attempt to solve the problem. All along, strategies and control measures are then put in place to ensure that the variations and the deviations of the planned policies are closely monitored for the taking of any corrective issues. Such a pragmatic process of problem solving would ensure that the person is well equipped enough to tackle the life challenges. In contrast, many people resort to force in an attempt to solve the life challenges. Many people take the easy option of short cuts in solving the life challenges and the life obstacles. In an event that a hard life problem faces such people, they look for ways to ‘switch off’ their minds and rather postpone the problem until some other time in the future. The ‘switch off’ type of people use such agents like drugs more so alcohol to join the utopia and unrealistic world where they no longer think of the same problems which they cannot solve in their lives (Bond, 1998). Once they have taken the illicit, they tend to be more aggressive and become very violent whenever they are reminded of their problems (Badegruber, 2005). Such people are the ones who can be called the escapists who use drugs and violence as a way of escaping from the reality and postpone their problems until some other time when they feel more prepared to take on the problems. It is however important to remember that the use of force does not solve any problem in the whole process of overcoming the obstacles. Escaping from the reality by the appeal to force where one knows that they are on the wrong but because of the authority and power vested on them, they go round intimidating people to drop the problems (Volkman, 2005). This does not actually offer any solution at all the problem. These in most cases only lead to the creation of more problems in case the subjects fail to be intimidated and thus resort to counter the intimidation with some other form of mass action. This same scenario is very common in among the political elites who then feel that once they are in power, then they are destined to be in power for the rest of their lives. They thus do not respect the constitutions in their countries and go round deviating and ignoring the constitutions to remain in power through forceful means. Appeal to force thus only aggravates the problem or only suspends the problem but cannot be used as the sole method to the problem solving process. The use of force as a strategy towards solving of conflicts is very common among the bad political leaders. The bad political leaders are the ones who use excessive force in the advancement and the administration of their policies. Bad leaders ensure that they use the existing military powers at their disposal to silences any force which might come up to oppose their evil rule of the thumb. In cases where the oppressed are united enough and revolt against such leaders through the social force and search for the justice, then it would lead to even further detrimental effects which would thus lead to more deaths. At the end of the day however, such poor leaders must be brought to book and must pay for the sins of crime which the committed against humanity. For an effective overcoming of the life obstacles, it is far safer to hate than to be love, and it is equally far better to be hated than to be loved. The point here involves the development of the points of comfort and the points of discomfort in the development of the life planed aimed towards solving the life obstacles (Volkman, 2005). If there is love for a given concept or person, then there is comfort. And in places where there is comfort, there are no obstacles or necessities. Going by the old adage that necessity is the mother of all inventions, and then it would mean that the one who is in the comfort zone of being loved and who can be able to show love lack the necessity. They would therefore not strive at all to undertake any effort to improve and overcome any life obstacle which may be manifest in their lives. For a successful life planning and projections for the effective management of the life obstacles, it would be prudent that the person concerned not to show love at all and should not be loved. Hate springs the person concerned into actions. The actions which are advanced by those who hate the situations where they are involved in explore the possible options available to help in the alleviation of the unpleasant conditions. During the process, the person gets to come into contact with the life challenges and the life obstacles (Volkman, 2005). The efforts which the person employs with the aim of alleviating the problem thus lead to the person acquiring the practical life skills which are very important in solving any life obstacle which may come by. These mean that being loved and loving which are the conditions of comfort are very detrimental to the growth of the person and equipping of the person towards the personal positioning to the life goals. In of leadership, there are different types of leaders who approach the concept of fear and love differently. Some leaders use a lot of force to intimidate their followers into respecting them and thus attempting to maintain their leadership positions. On the other hand, some leaders use then power of love to ensure that all their subjects give them the utmost respect. When fear is used into instilling discipline and respect, then it leads to hate of the leaders by the subjects (Badegruber, 2005). A leader who is hated by the subjects is in the verge of being toppled. They stands a risk and have high chances of failure as the subjects would be looking for the most appropriate ways to ensure the down fall of the hated leader. Such a leader should therefore be very keen in ensuring that all is well on his part of the subjects and in doing so, he can still become a successful leader. On the other hand, being a loving leader does not mean that a person is assuring of automatic success. The fact that the leader is lived by the other equally posses a challenge to the leader s there are some people who may not be pleased with such leadership. Action without the clear thought can never ripen into truth is just another point which the person oriented to the achievement of success is able to take note of and internalize. It simply mean that for any truth to be ascertained and any goal achieved, then the actions of the people concerned must be well harnessed and well channeled to the right directions of well thought out end goals (Badegruber, 2005). The provisions of the actions without a well planned and prior planned goals would mean a total disaster join the outcome. This is because such actions may become irrelevant. In the situations where they become irrelevant, then the continued practice of the unplanned actions would mean that there is the widening edge of the planned and irrelevant achieved goals. This is not only very costly in term of time and money resources but is also embarrassing and disgusting. In other circumstances, the generation which have no purpose drive in life or who cannot identify their purpose in life are not able to bring about any meaningful changes in the quality of life teeth they live. It is surely important to remember that a generation is a collection of people, and within the generation, individual input is very important and should be held with high esteem. The individual input would help the person achieve the outlined goals in life and thus marking the personal objectives to the obstacles removal in their lives (Volkman, 2005). Finally, it is important to realize and take note that everything can be explained to the people, on the single condition that you want them to understand. People will always understand what is told to them at once if they are well, prepared to learn. The fact that people are always informed of the pertinent issues when they are least prepared makes them lose interest in what they are being told and thus end up not understanding the concept fully (Badegruber, 2005). When people are informed of the right materials the right time, they get prepared to learn and acquire life skills to counter the life obstacles. When the content materials are well understood, then the person will be more equipped to face the life obstacles. They would be more confident to tackle the life obstacles using the most appropriate methods which also help in the advancement of life skills to the persons. The life obstacles are there to stay with the human beings. They are the challenges which the people must be able to overcome in order to live a meaningful life after the achievement if the life success. Though many people find it difficult top fact life squarely, they are destined to make the decisions. Moreover, the pessimist who shy away from the life decision making choices always find it hard to succeed in life.